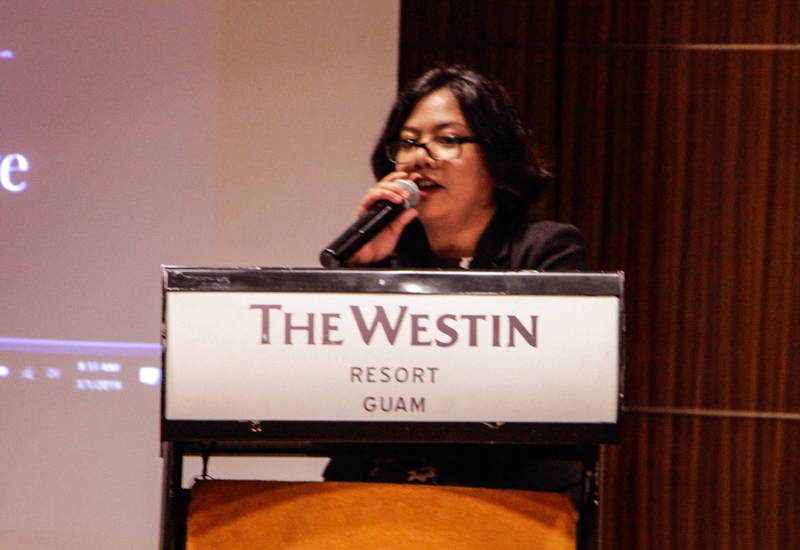 March 1, 2019: The 25th Annual GSAT Conference, was held on March 1, 2019 held at Westin Resort Guam, welcomed 168 participants which included individuals with disabilities, service providers, family members, educators and the general public. This year’s theme: “Empowering Diverse Communities Through Innovative Technology,” recognized how innovative assistive technology paves the way to possibilities and creates a positive impact on people with disabilities. March 1, 2019: Leah Abelon, Assistive Technology Center Coordinator, delivers welcoming remarks during the opening session of the conference. March 1, 2019: The Langston University Rehabilitation Research and Training Center (LU-RRTC) team was featured during the first plenary session, highlighting their research and the availability of capacity building technical assistance for minority entities interested in doing research in fields related to disabilities. Pictured left to right: Edward Manyibe, Ph.D., CRC, LADC, Capacity Building Director and Research Associate Professor; Renee Starr-Howard, Ph.D., Postdoctoral Research Fellow; Courtney Ward-Sutton, Ph. D., Postdoctoral Research Fellow; Andre Washington, Ph.D. CRC, Co-Principal Investigator/Technical Assistant Coordinator; and Corey Moore, Ph.D., CRC, Principal Investigator and Research Director. 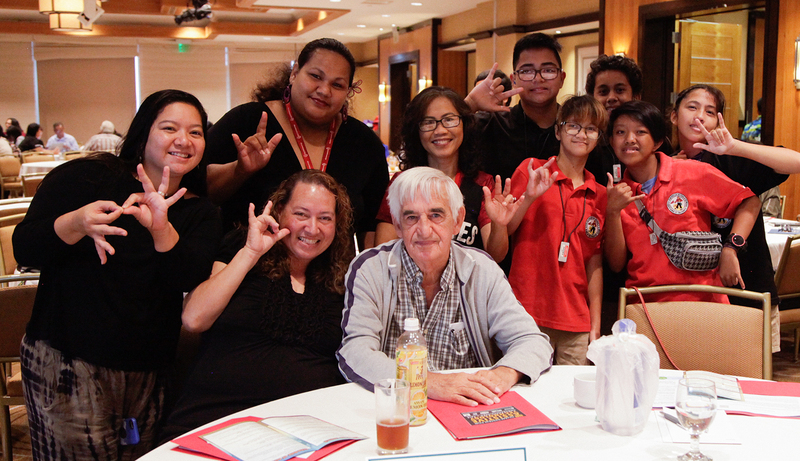 March 1, 2019: The Agueda Johnston Middle School students from the Deaf/Hard of Hearing (D/HH) Program pose for a photo during the GSAT Conference with John Russell, their instructor and Kirsten Bamba and Jeannie Hollis, Educational Interpreters. 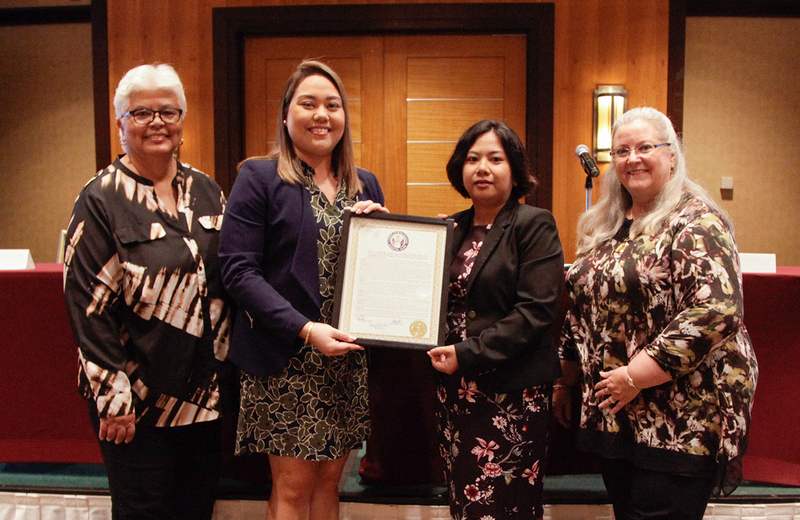 March 1, 2019: The Guam System for Assistive Technology received a legislative resolution from the Office of Senator Amanda Shelton in celebration of GSAT’s 25th Anniversary. Pictured L-R: Terrie Fejarang, CEDDERS Associate Director; Senator Amanda Shelton; Leah Abelon, GSAT Center Coordinator; and Dr. Heidi San Nicolas, CEDDERS Director. 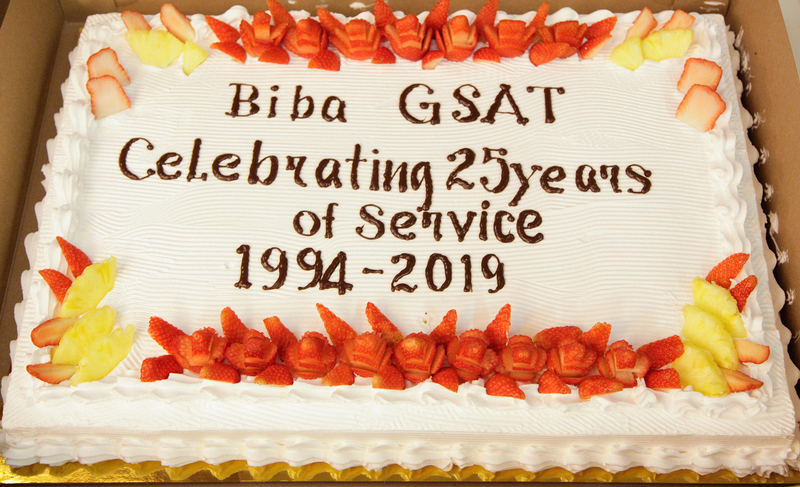 March 1, 2019: GSAT was presented with a cake to celebrate 25 years of hard work and service to their community.